Along Miami’s scenic Route 1 hugging the stunning coastline winds Brickell Avenue, one of the most upscale and prestigious addresses in the city. The former estate of one of Miami’s first families, Mary and William Brickell, has grown into a glamorous, vibrant, young urban neighborhood where Miami’s international and elite flock to live, work and play. Brickell houses the city’s financial and trade center, and represents the second largest banking center in the United States. Enlarged Metrorail and Metromover lines have broadened this urban pedestrian friendly area where a car-free lifestyle is common place. The neighborhood is now one of the most sought after addresses among globetrotters and a favorite spot for residents from across the American. The neighborhood has a cosmopolitan flair infused with a spirited Latin vibe. Considered New York in a tropical climate, the energy, vibrancy and sophistication to this neighborhood is second to none. Just like many of its international habitants the prestigious Brickell Avenue residences are among the finest of cutting edge luxury architecture and design in the world. Here sleek skyscrapers representing the best of design, technology and service stand among Miami’s towering office buildings. Many of the properties offer expansive and scenic water and city views. Step outside your building, nearby is Mary Brickell Village and Brickell City Center each offering a high-end shopping experience, some of the city’s finest restaurants, as well as top of the line personal services. 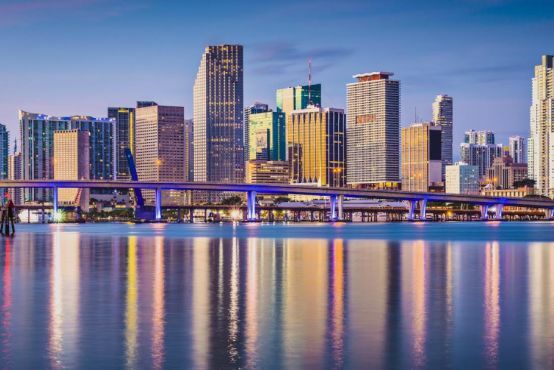 Miami’s cultural attractions such as Wynwood Arts District, Perez Art Museum, Gusman Center for the Performing Arts, The Arsht Center, and Miami Arena are also nearby. The Brickell neighborhood is ideally located within 15 minutes of Miami International Airport and provides easy access to South Beach, Marinas, and a variety of water related activities. Brickell Avenue offers some of Miami’s finest options for preschool and Montessori programs in the city. La Prima Casa Montessori is a well respected daycare and full day school that enrolls children from age 6 months through elementary level. There is also Village Montessori Day School, a bilingual program for PreK and Kindergarten ages. Additional daycare and preschool options include: Giggles Enrichment Center, Early Childhood Institute, Brickell International Academy, and Tiniciti Preschool. There is well-respected Key Point Academy, a Presbyterian private school, serving preschool through middle school. Kingsbury Academy for Kindergarten through 12th grade in another private school option. Additionally, St. Peter and Paul School is the local Catholic school for preschool through 8th grade. To learn more about Brickell, Key Biscayne, Coconut Grove, Coral Gables, South Miami, Pinecrest, or Palmetto Bay, contact Val Byrne with EWM Realty International or www.MiamiRealEstateWorks.com at email at [email protected] or by phone at 305-323-6231. Val Byrne – Working For You!